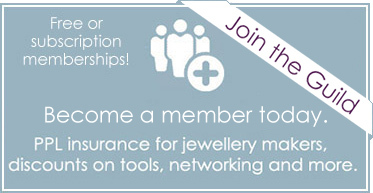 Enter the Pearl Design Competition sponsored by the British Pearl Association, Guild of Jewellery Designers and Ping Ping Jewellery. All entries must be submitted by 17:00 on 31st August 2017. The winning entry will be announced at the International Jewellery Exhibition, London 2017 and displayed at the IJL 2017. The coin pearl measures 18mm in diameter and 7mm at its widest point (photos available on request). Design a piece of jewellery incorporating this unique coin pearl. The winning entry will display and celebrate the beauty of the organic pearl gem. Your entry must include this coin pearl within your design. Closing Date: All entries MUST be delivered by 1700 on 31st August 2017. Entries arriving after these dates will not be judged. Entry Procedure: All completed entries should receive a confirmation email; if so please include a copy of this this when submitting your work. The deadlines specified are final and there are no extensions. Multiple Entries: You can enter up to two designs per person. JUDGING: Entries will be judged by the directors of Ping Ping, Guild of Jewellery Designers and President British Pearl Association. The results are final. There will be only one winner. The winning entry will be displayed at the IJL 2017 exhibition.